Welcome to the Saint Louis Psychoanalytic Society. This Society exists to foster the growth of psychoanalysis and psychotherapy, encourage advances in its theories, and maintain professional standards in its practice of psychoanalysis and psychotherapy in the St. Louis area. It provides an organization for affiliation and communication with other similar organizations around the world, such as the American Psychoanalytic Association and its component societies. 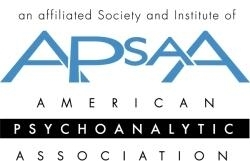 Within the St. Louis area, the Society stimulates interest in the education of psychoanalysts, fosters scientific discourse among psychoanalysts and psychoanalytic psychotherapists, and, through cooperation with qualified experts in other fields, contributes to other applications of psychoanalytic theories.